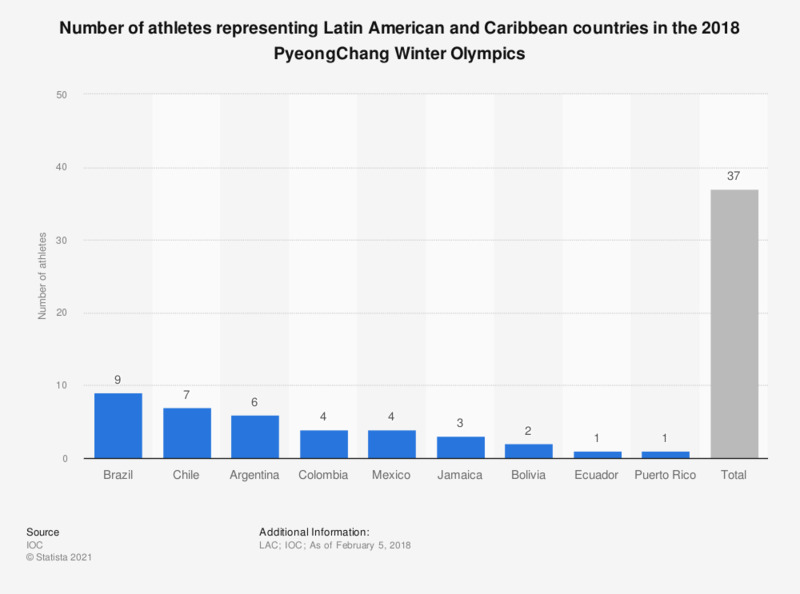 This statistic presents the number of athletes from Latin America and the Caribbean participating in the 2018 PyeongChang Winter Games, sorted by country. Out of a total of 37 athletes from this region, nine were from Brazil and seven from Chile. The publication date provided is the date of access.